So the Champions League group stage fixtures are over and this time, we will not be scared about playing Bayern Munich or Barcelona for a change. However, we would have to be mindful of the eight teams that have gotten a second chance in Europe via the Europa League. CSKA Moscow, Celtic, Atletico Madrid, Sporting CP, Spartak Moscow, Napoli, RB Leipzig and Borussia Dortmund failed to qualify from their respective groups and would have a keen eye on the draws for the latter stages of the competition. Arsenal on the other hand had done enough to finish as group winners, despite the fact that they put up a putrid performance against FC Cologne, and that feel-good factor has somewhat faded since that disappointing defeat to Manchester United last weekend but that’s football for you – the games can’t come soon enough. Wenger would have half an eye on the Southampton game for the weekend, so ideally, he’d want to rest his big guns, allowing the fringe players and youngsters to get another run out in front of the home crowd. I’d expect to see David Ospina again in goal with Petr Cech getting a breather. The Colombian goalie hasn’t covered himself in glory this season, and he has certainly put up some questionable performances this season, but that’s what being a second fiddle goalie gets you these days. 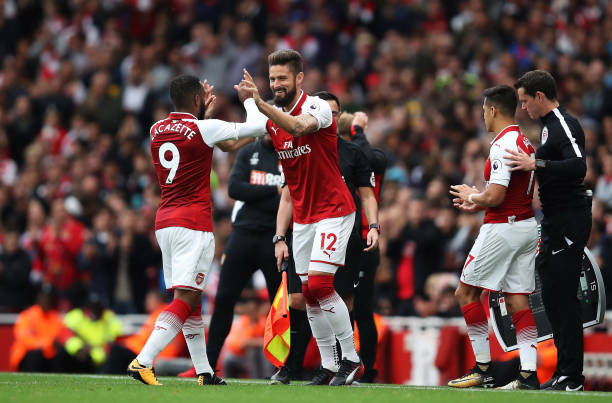 With club captain, Per Mertesacker, fit, he’d want to get a run out while the likes of Rob Holding and Calum Chambers would be looking for more chances to impress. I’d be hoping to see Reiss Nelson in a more advanced position than right wing back, and I’m sure that’s not going to happen, with Ainsley Maitland-Niles getting a run out in the unfamiliar left wing back position. I guess I’d have to brace my eyes for another shite fest from Francis Coquelin and Mohamed Elneny, but with Theo Walcott still ‘ill’, Alex Iwobi and Danny Welbeck should flank Olivier Giroud. After the run of games we had of recent, the loss to Man Utd was like a reality check but the lads actually worked their skins off but couldn’t get past the impressive David de Gea. I don’t expect BATE’s goalie to have that kind of quality. This is a dead rubber fixture for us in all sense of the word but it’s always nice to get a win under the belt. 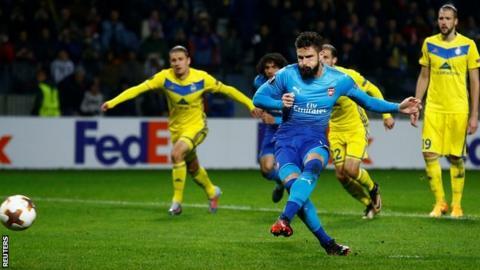 Let’s hope for a better performance that what we have been witnessing in recent Europe League matches from the Gunners.